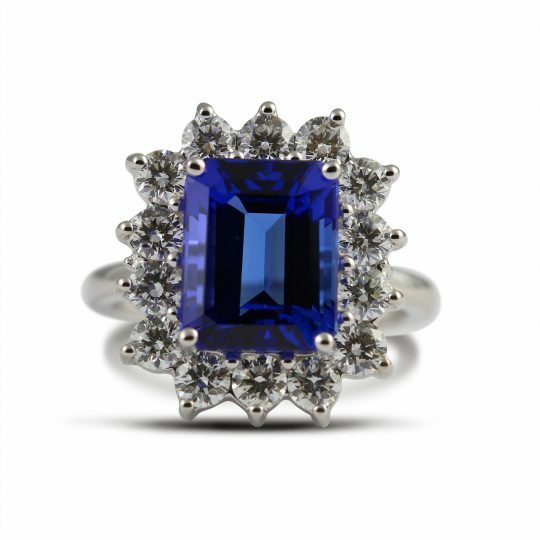 A striking fancy dress ring set in 18ct white gold. 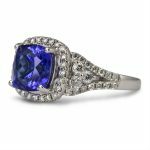 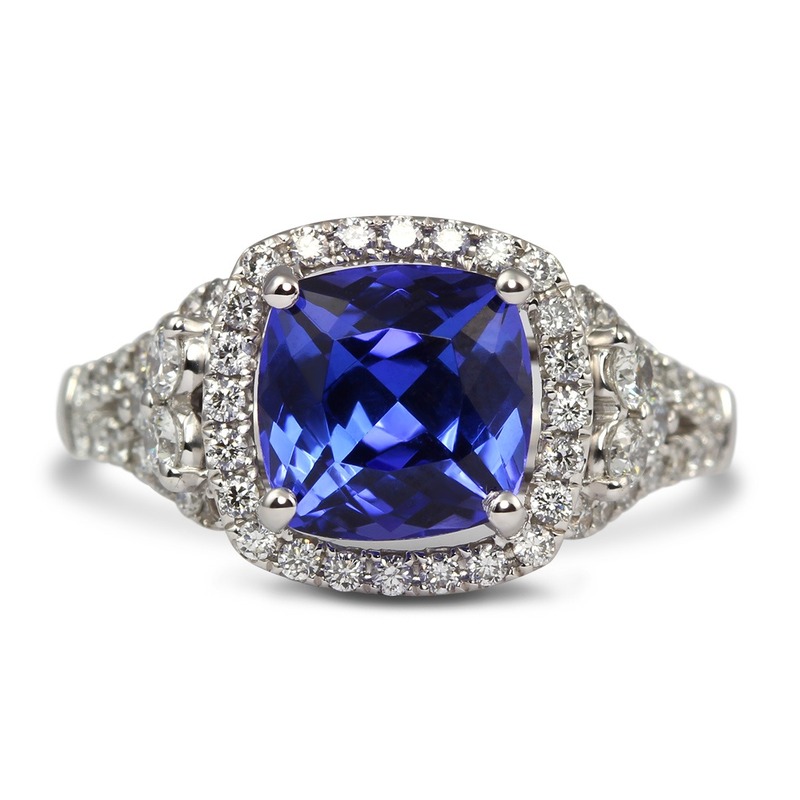 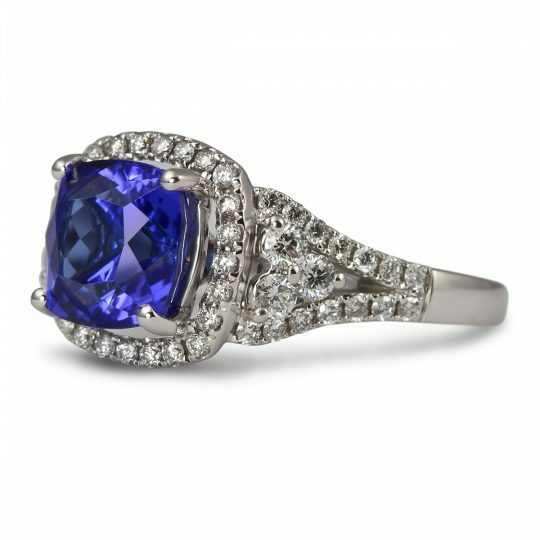 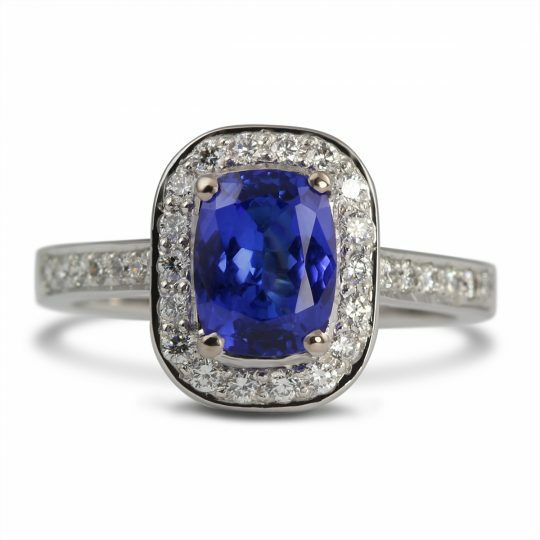 At the centre sits a beautiful cushion cut tanzanite surrounded by a halo of diamonds with diamond set shoulders on either side. 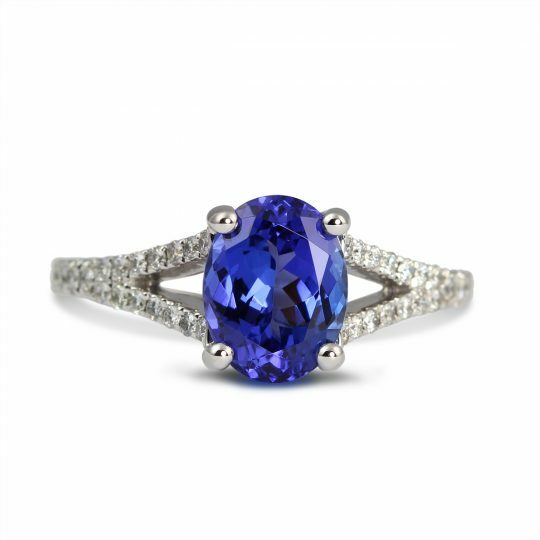 Guaranteed to catch everyone’s eye as it sparkles in the lights.